TOPIC: Travel back in in time with me this week as we climb aboard my Wayback Machine and visit Walt Disney World in 1986. We’ll virtually explore the parks and resorts, see what was new and what was closing for good, as well as Walt Disney World’s 15th Anniversary Celebration and much more. I’ll then ask you to call in and share what you would do at Disney if you could travel back to 1986. 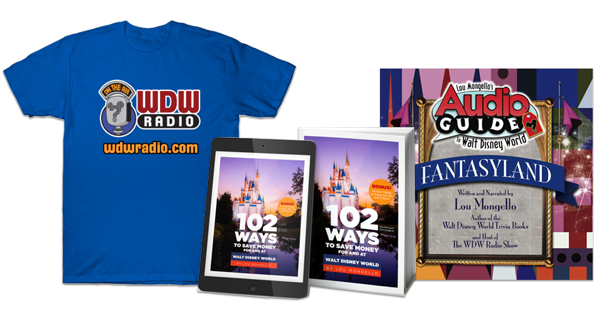 PLUS details about how you can be part of the WDW Radio 8th Anniversary event in February, Lou is purging his Disney collection on eBay starting January 4 at 7pm ET and more! QUESTION for YOU from this week’s show: What location in Walt Disney World makes YOU feel like you’ve stepped into the movie? Leave your answer in the comments below! One more trip on the World of Motion would be great! I thoroughly enjoyed listening to this segment about 1986 ! I am new to your show….I found your show because I started at Disney World as a cast member on January 18th, 1986 ( I was 20 years old) and was searching on the internet. I was a cast member for 17 years and loved every minute of it. My first job was at Heidelberger’s Deli in the Disney Village….a few months later I was made a lead and worked at Captain Jacks Oyster Bar ( remember their strawberry margaritas ) and then at the Lake Buena Vista Club (which became the Pompano Grill , Seasons, and is now the Turf Club). After being tired of food and beverage I transferred to Central Reservations and worked there until 2003. I had to leave Disney because my husband got a promotion and I am now in Tennessee. To answer your question, if I went back to 1986 I would probably choose just going back to see the village when it was more like a quaint seaside shopping area. I would want to eat at the Village Restaurant ( remember they had fashion shows where models would come to your table and model some of the current fashions from one of the lady’s boutiques). As you probably know, there are a lot of former employees that go through a sense of mourning when they leave …once you go through Traditions ( it was 3 full days ) you never get that out of your mind ! I would be thrilled to go back and work there again….maybe when I’m older and retired…you can take the girl out of Disney but you can’t take Disney out of the girl ! It definitely would be HORIZONS!!!!!!!!!!!! If you dream it…you CAN do it! I would love to see them bring back the Jolly Holidays Dinner Show! My husband and I have very fond memories of taking our daughters to see it when they were little. Now that we have grandkids, we would love to be able to take them to see it too! It was such a great show that always got us into the holiday spirit! Great podcast, Lou, as usual. (Yes, props to Ryan, too.) Like Deborah, above, I joined WDW as a cast member 1986, in October. They told me to wait on starting till the 13th, after all the Marketing people would be back from the Press Event. I worked in the Sun Bank Building, across from “The Village”. One of the things I did in Marketing was the “Walt Disney World News” broadsheet “newspaper”, which was distributed around the property. So, I knew every one of those items you mentioned, very well. Who can forget the song, “FIFFFFF-TEEEEN years, we’re having a party!”? I was there for 13 years, till I went to Disneyland, for another 3 years. It’s great that you can discuss all the items which were there, then. How quickly we forget. Nice to reminisce, but I do appreciate the new additions. Keep up the good work, Lou. I’ve loved Figment from my first visit to EPCOT, which I believe was in 1985, but I don’t remember much from the original attraction, so I would definitely want to take a ride on the original Journey into Imagination. Even though my very first visit to WDW wasn’t until 1987, there are two places I would love to revisit. Communicore East & West and Horizons. 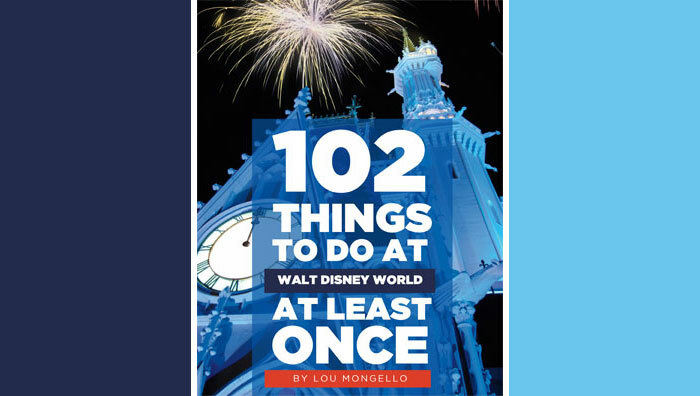 Like you, Lou, I loved all of the learning that I gained while at Epcot. I loved being able to see the new advancements that were coming to the world at Communicore. Words can not explain the enjoyment I had at Horizons. Oh, also The Making of Me was fascinating to me. definately a different way to learn those things that were so boring in the classroom. Brian stole my thunder a little bit with the 15 years song that was everywhere. It was really quite a nearly complete circle the last time I was at Epcot in 2011. I remember going there in 86 and playing with the Build Your Own Coaster thing. It had a beaver that helped you build it, and it would let you know if your particular arrangement of pieces was too dangerous to ride on, but if it was ok, the beaver (who sounded like gopher from WTP) would say with whistling Ss, “Ssssay, that’ssss Sssswell!” Flash forward to 2011 and taking my son there and not only getting to design our ride, but actually ride on it at Sum of All Thrills was just a great experience and connection to that little slice of nostalgia. I remember seeing the video phone on Horizons and then seeing real ones at communicore and being blown away. I was also one that loved to just hang out at living seas, because I had thoughts of being a zoologist until I realized how much poop was involved – but I saw the manatees and went through the light tunnel at imagination and loved Transportation and remember the Minnie in Japan (wearing her kimono) somehow entertaining a small crowd I was in (not just doing a meet and greet) but suddenly she spotted me and ran over to me and gave me a kiss with a sound effect and everything. It was just a thrill for me to discover stuff at Epcot. We had a beach towel from Epcot with silhouettes of the future world buildings on it that was Epcot design at it’s gloriously minimal that we had to retire a few years ago because it had gotten threadbare. I’m probably romanticizing it a lot in my memory, but it was great at the time. Lou- Loved the show! I had totally forgotten about a lot of those. Fun to remember! I remember getting my Figment stuff toy that I had to have and going on that ride 6 times. Loved it so much. I would love to ride it again how it used to be. If I could go back to 1986 and do just one thing? Probably wander the streets/shops of the Magic Kingdom. To me, that would be the MOST I could personally get out of “one thing” from an emotional standpoint. My Dad works for UTC and I remember going to the VIP lounge at The Living Seas and getting in without a wait. And thinking we were really going deep underwater! I forgot about the Centaurium, we took our picture in front of it because our last name is Centore. Great episode, so many great memories, thank you!! If I went back I’d do the Imagination Pavilion as well, but I’d also want to be 7 years old again!